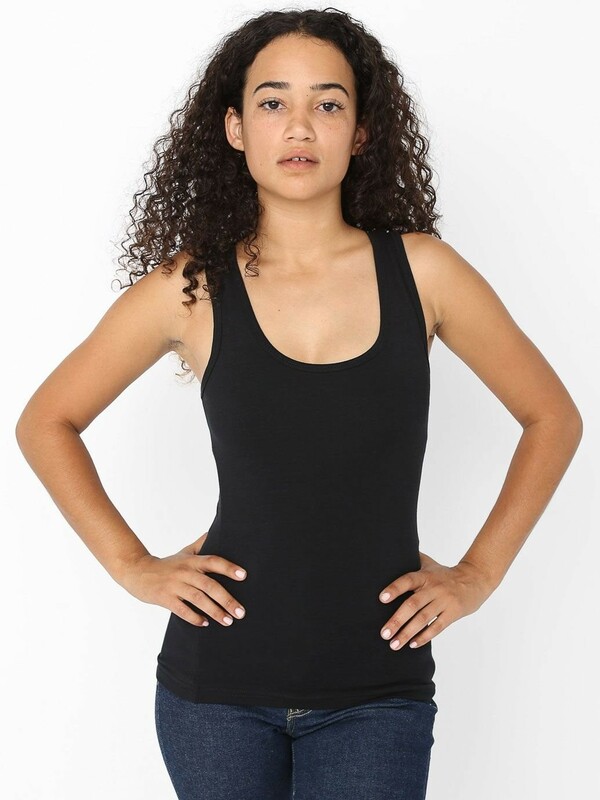 A form-fitting durable tank top featuring a low scoop neck and dual stitching at bottom hem, sleeves and neckline. Small is approximately 23 1/8" in total length (58.7 cm). Form fitting. Superior screen printing results.